Only three games during the first three days of the NCAA tournament have been decided by three or fewer points. That has to change on Sunday for this opening weekend of the NCAA tournament not to be remembered as one of the most dull in recent years. Here’s a look at Sunday’s eight-game slate. The games are ranked from most to least compelling. For the second straight season, Buffalo has advanced to the second round of the NCAA tournament. Now the Bulls will try to seize the chance to advance deeper than they ever have before. Standing in Buffalo’s way is a Texas Tech team that is one of the last two Big 12 teams still alive, along with Oklahoma. The Big 12 co-champion Red Raiders have Final Four potential this season thanks to a smothering defense and an improving offense built around conference player of the year Jarrett Culver. For all the flack the Pac-12 has taken for its pathetic performance this season, the league has actually performed respectably in the NCAA tournament so far. All three Pac-12 teams in the field won a game and two are alive entering play on Sunday. Washington is a heavy underdog against North Carolina, but the zone can give teams fits on short prep time. If they can keep the Tar Heels out of transition and force them to score against a set defense, perhaps the Huskies have a chance. It will take more than rallying past Gardner-Webb in the first round for Virginia to shed the label of March underachievers. The top-seeded Cavaliers need to take advantage of a favorable draw and advance to their first Final Four of the Tony Bennett era. On paper, Oklahoma lacks the offensive firepower to give Virginia’s defense much trouble, but the Sooners torched Ole Miss for a ridiculous 1.40 points per possession on Friday. They’ll need Christian James and Brady Manek to stay hot from the perimeter. 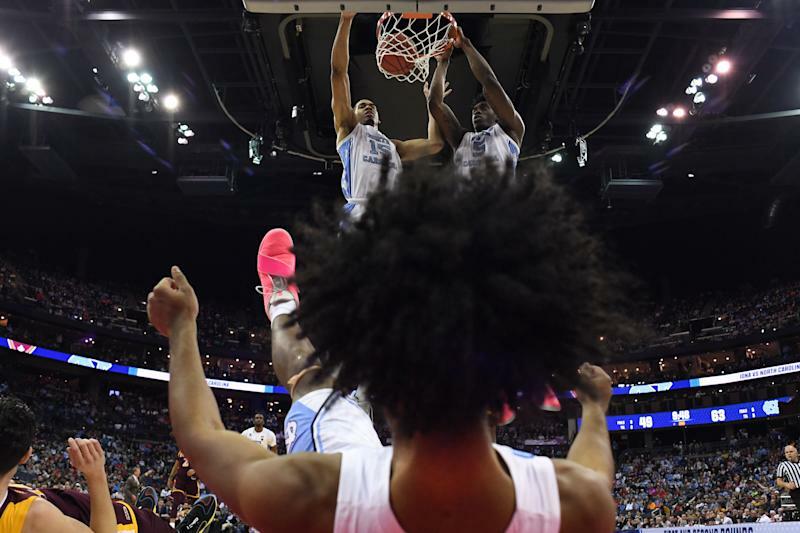 Houston thought it was Sweet 16 bound last March until Michigan guard Jordan Poole’s buzzer-beating jump shot halted the Cougars’ run. Kelvin Sampson’s team will try to atone for that loss a year later against another Big Ten team. Ohio State doesn’t have the talent to be playing for a Sweet 16 berth this year, but Chris Holtmann has squeezed everything out of this roster. Look for the Buckeyes to slow the pace, play physical basketball and try to be within striking distance down the stretch. Iowa hasn’t been to a Sweet 16 in two decades, a drought it would love to end at Tennessee’s expense on Sunday afternoon. The Hawkeyes have been in the round of 32 twice under Fran McCaffery, and both times they endured humbling losses. For this time to be different, Iowa will need to shoot as well from behind the arc as it did against Cincinnati and coax more from interior standout Tyler Cook. Beating Cincinnati with Cook shooting 1-for-9 from the floor was unlikely. That simply isn’t happening against Tennessee. This is going to be a defensive slugfest. A big, experienced team led by frontcourt standouts Jonathan Galloway and Tommy Rutherford, UC Irvine leads the nation in two-point percentage defense and excels at giving up nothing easy at the rim. Oregon’s strength is also its defense, but the Ducks are best at running opponents off the 3-point arc. Down by 10 points and seemingly headed out of the NCAA tournament Friday night against Mississippi State, Liberty rallied behind the heroics of Caleb Homesley. The streak-shooting guard scored 14 of his game-high 30 points over the next four minutes, erasing that deficit all by himself. Thanks to Homesley, Liberty earns a shot at a Virginia Tech team that has been top-10 good with Justin Robinson in the lineup.